the Christmas Quilting Games of 2014 are officially open. 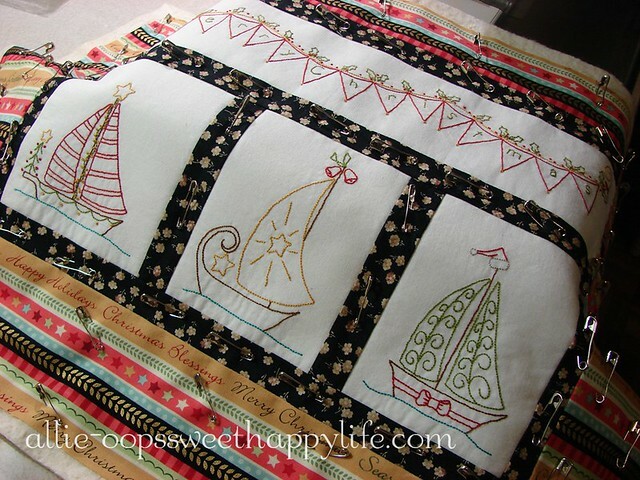 Sailing Into Christmas - available soon, stitcheries only. And oh am I having a time. My back has been out for over a week - shooting pain in my leg, sliding disks keeping me awake all night, not being able to sit, stand, or lay down. I haven't been able to sit in my comfy chair, which is making my cat quite happy, but not me, lol! I've not been around your blogs I'm afraid, just can't sit long enough. But I am trying to get a bit of quilting done - Christmas IS coming, whether I want it to or not. 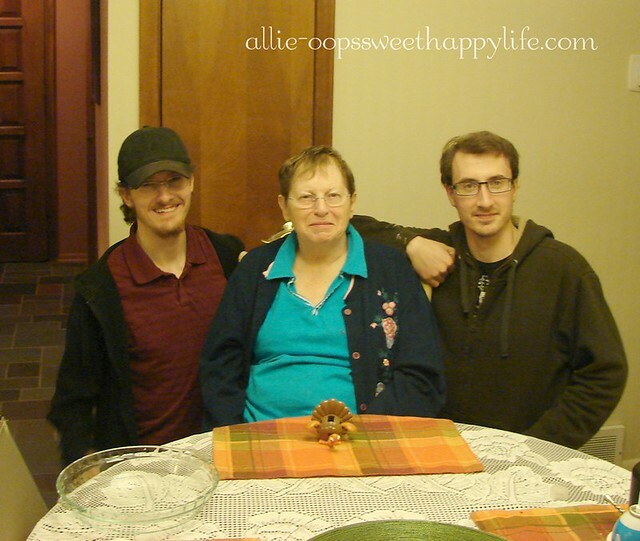 I hope you all had a very happy Thanksgiving, we went out to my aunt's and ate ourselves into a coma. So much to be thankful for. From my family to yours, blessings!! So if you can't stand, sit, or lie down, what are you doing - standing on your head? It sounds so miserable, and I hope you get some relief soon. I LOVE your sailboats!! Very cute indeed. Great to see you all guys. I hope your back gets to feeling better soon!!! Oh your new stitcheries are devine! I NEED that pattern for sure! Ooh, ooh, ooh, love that sailboat project!! So sorry to hear your back's been so troublesome. I can relate. Hope you are back in good form soon! Oh, my! The pain and misery seem to be inspiring some lovely designs. Love those boats all decked out for Christmas. Hope you are soon repaired. Sorry to hear that you are not doing well, nothing worse than pain to keep us from enjoying the holiday crafting season. I see it hasn't stifled your creativity though, love the new design. Sorry your recovery isn't going smoothly - I'm sure Hermione is loving the chair though, lol! Oh yes - I almost forgot - the boats are lovely! I hope you had a wonderful day. Love that stitchery. That sounds horrible and painful and exhausting! If the ships are what you are working on, I know they look way better than my stitching would if I were in pain. Actually, they look way better than my stitching, period. =) I love the design!